WASHINGTON — Sgt. 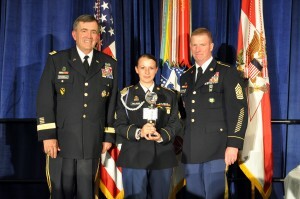 Sherri Jo Gallagher, U.S. Army Marksmanship Unit, stands with Gen. Peter Chiarelli, Army Vice Chief of Staff, and Sgt. Maj. of the Army Kenneth O. Preston Monday after being named the 2010 Army Soldier of the Year by Preston during the Association of the United States Army annual meeting. 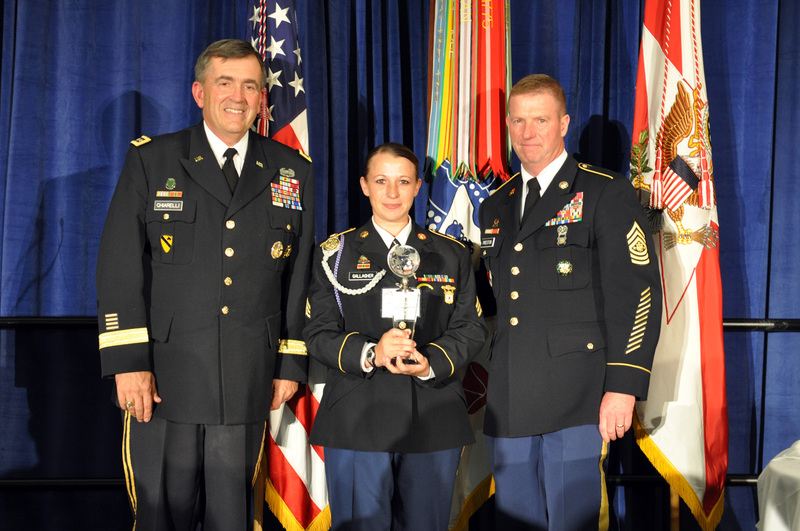 Gallagher and 23 other Soldiers and noncommissioned officers competed in the 2010 Best Warrior Competition at Ft. Lee Oct. 18-22.